Maps had been followed, clues tracked, and early this summer the fortune was found. 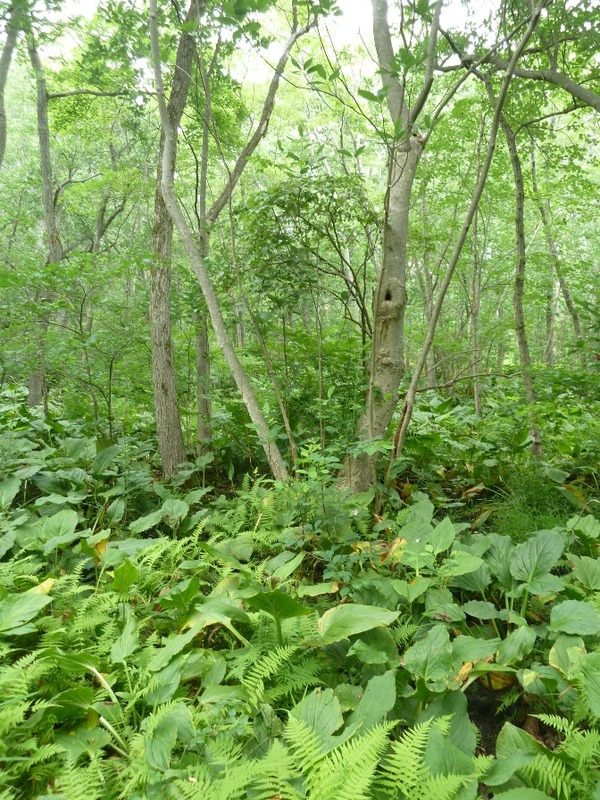 Standing on the far side of a hummock swamp in Delhaas Woods in Bristol, Pennsylvania, Andrew Bunting had located a unique magnolia tree population on the edge of fading away. He had discovered the treasure he set out to find. Often, this is where the story ends. But when the prize is an elusive plant sought by scientists nationwide, this is where the story begins. Andrew Bunting collecting sweetbay magnolia samples in Delhaas Woods, Bucks County, Pennsylvania. 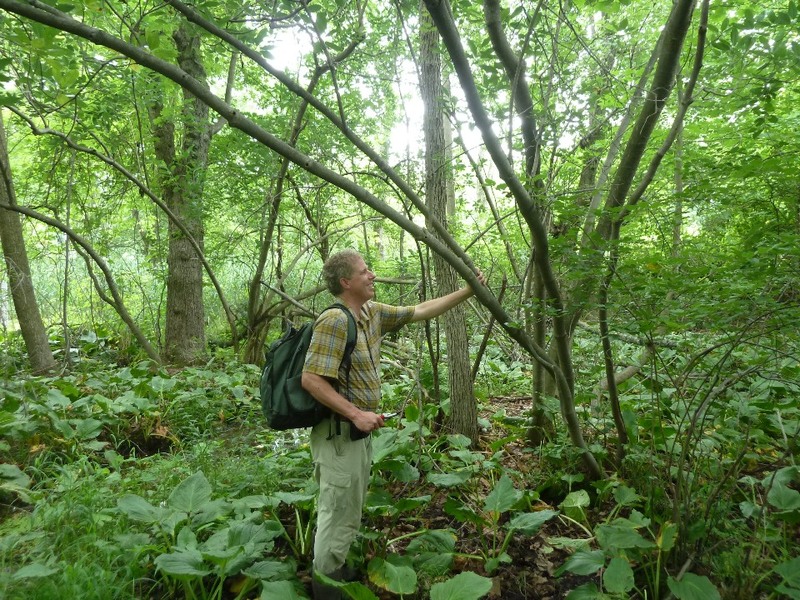 Bunting, the assistant director and director of plant collections at the Chicago Botanic Garden, was on day three of a nine-day adventure across the East Coast to collect northern populations of Magnolia virginiana var. virginiana L.
Bunting welcomes any opportunity to stroll the Garden campus. “I like all the Gardens, of course, but there are a few favorites,” he admitted. “Part of me likes horticulture and part of me likes the scientific evaluation side of things.” He often stops through the Heritage Garden with a nod to statue of Carolus Linnaeus and the Bernice E. Lavin Plant Evaluation Garden. After locating a group of trees in Delhaas Woods, he and his team took cuttings from new growth and packed them into their bags. The murky waters that now stood between them and a successful exit from the overgrown site were deep and dangerous, and wading out was not an option. They had no choice but to leap between hummocks—floating islands—of knotted blueberry vines, wild roses, and other invasive plants to reach stable ground. It’s all in a day’s work for Bunting, who has gone on wild plant-collecting trips around the country and world during his career. Days after returning home, he explained that this adventure was no more tame than those in tropical jungles. However, the importance of this collection made it all worthwhile. 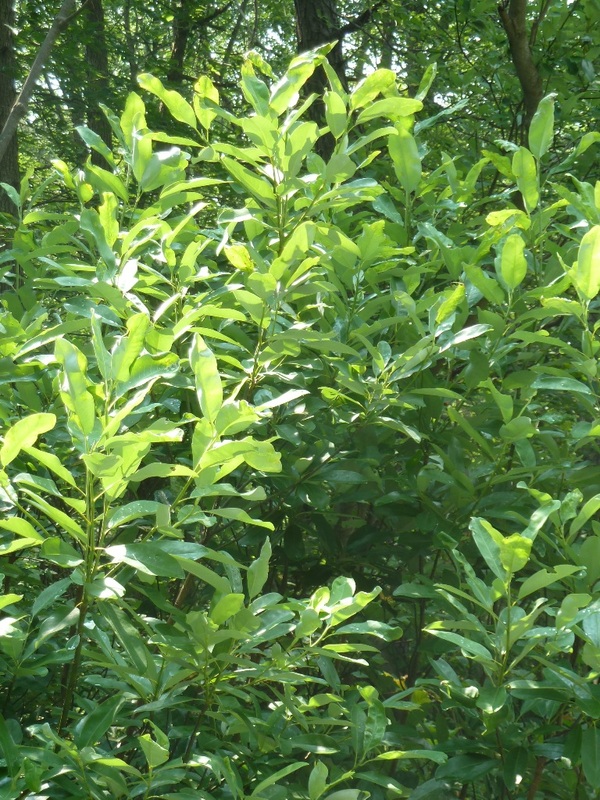 The target species, commonly called sweetbay magnolia, is generally underrepresented in living collections and arboreta. That means that if it is lost in the wild due to extreme weather or other threats, there is no backup. It could be gone for good. A sweetbay magnolia tree stands out in Delhaas Woods, Bucks County, Pennsylvania. 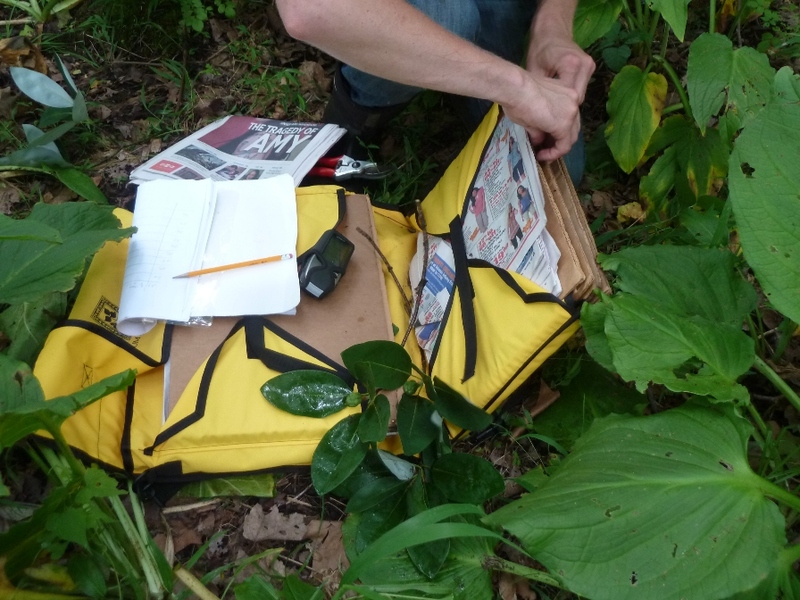 By taking plant samples from the field, he and his team hope to grow new generations of sweetbay magnolia plants that can be safely maintained in secure locations long term and used to study and potentially boost the wild populations in the future. The success of the trip required more than one stop. The team visited multiple locations, collecting from several plant populations across the northern range of the species. 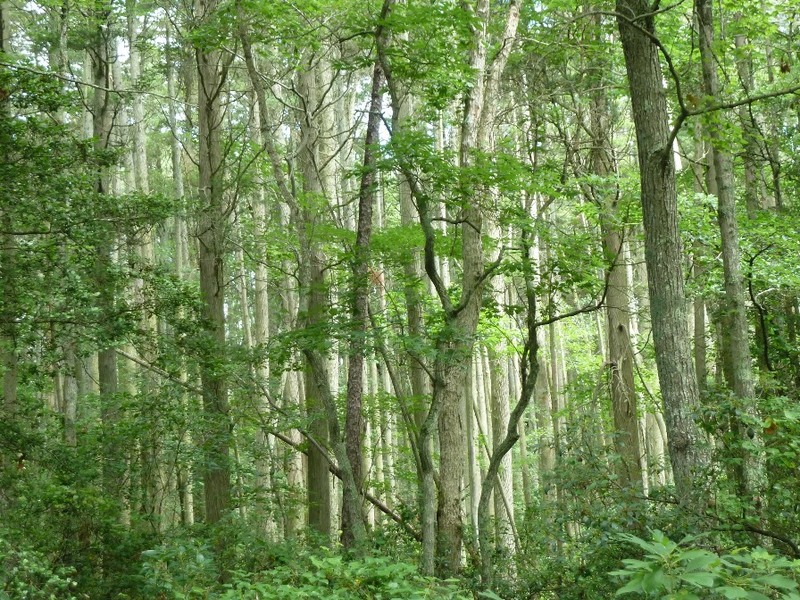 Their goal was to collect trees with novel traits, or genes, which would be beneficial for future breeding. When the team navigated the swamp, their spirits were still high from an especially unique collection they made the day before in the Michaux State Forest, about 125 miles west of Philadelphia. There, they had carefully taken cuttings from a population of state-threatened magnolias that grows far from any other. “I’m hopeful that some of our work may lead to help figure out why that population is where it is,” remarked Bunting, who theorized that the population may have had a broader range millions of years ago and retracted to the coastal plain. He hopes that future DNA tests of the samples will provide answers by clarifying genetic similarities and differences between this and other populations they collected. Moving into New Jersey, he and his team next gathered additional cuttings. 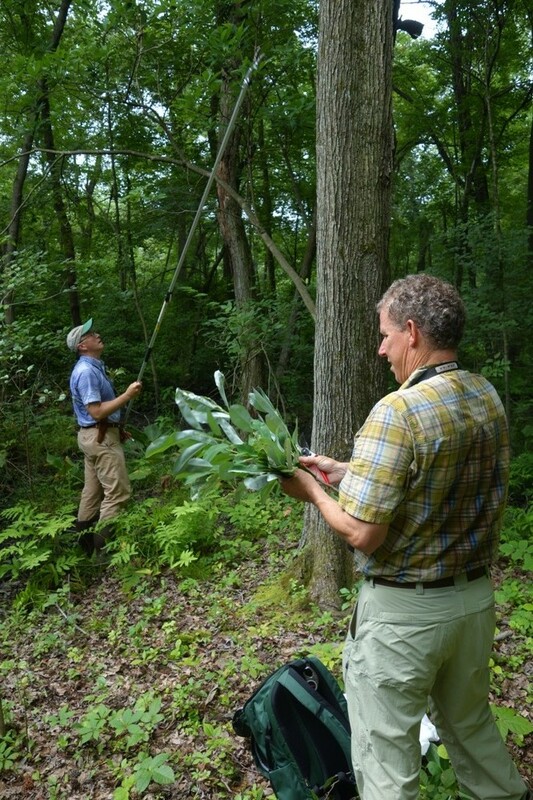 Working closely with project partner Joe Rothleutner, tree and shrub breeder at the Morton Arboretum, and other local experts who joined them along the way, Bunting assembled a detailed logbook to accompany the physical samples. Magnolia virginiana var. virginiana L. in Michaux State Forest, Pennsylvania. At every collection location, each team member played a specific role to capture information about the site; from the type of soil to the slope of the land to a description of the local ecosystem, and a list of associated plants. At each site, two 10-inch plant samples, ideally with forming fruits and/or flowers, were pressed between cardboard and labeled for future storage in a herbarium. Other samples were packaged for propagation. The collection project was funded by the U.S. Forest Service and American Public Gardens Association (APGA). The challenges along the way made every discovery that much sweeter. “What’s nice is you all kind of bring your own expertise and experiences and figure out how to navigate the areas and how to extricate yourself from the areas,” said Bunting. “What’s great about the collecting trips is that you can do a lot of front-end research but there are always surprises,” he added. On the final leg of the journey, the team members found themselves wearing knee-high boots in the thigh-high waters of a sphagnum swamp in Staten Island. Sinking in deeper with every step, they waded through, only to find no evidence of magnolias. Swatting away mosquitoes and dodging deer ticks, they navigated a thick understory of sharp phragmites reeds and Japanese knotweed to make their escape. An extended telescopic pole is used to take cuttings of the current season’s plant growth. In all, they returned home with representatives from nine populations and 850 unique cuttings. Many of the species on display at the Garden today were once such wild treasures, explained Bunting, who, after years working for esteemed institutions across the country, returned to the Garden this spring in part to re-establish a collection program. Records of wild collected plants’ origins hold a value that extends beyond dollars. Details of when and where each collected plant was gathered are stored in the Garden’s plant records database. Those pieces of information build a story for each specimen. The stories provide guidelines for conservation scientists who may need to propagate the species should a natural habitat be temporarily lost, and for breeders who may wish to develop a new, hardy species to better endure harsher winters, for example. Many other species of plants are preserved when their seeds are collected and placed in seed banks. However, for some, such as the sweet bay magnolias, timing the seed collection and storing them long term is difficult, so the cuttings are the best approach. Bunting is building a ten-year collection plan that he expects will take Garden experts to one or two national and one international location(s) each year. “I would like this new plant-collecting program to really think about filling a lot of needs at the Garden, whether it’s evaluation, breeding, plant conservation, adding to our horticulture collection, or maybe interpretation and education,” he said. Collections will take place in similar climates to the Chicago area. In Delhaas Woods, cuttings are labeled and pressed between pieces of cardboard for transportation to a herbarium for further processing and storage. Plants selected for collection may be representative of a different country, or they may expand the Garden’s representation of a specific species, for example. Working with other Garden scientists, graduate students, and the Morton Arboretum, he is also building in steps to ensure that species are screened in advance so that no potentially invasive species are collected. “There are lots of parameters and variables that will evolve over time and also partnerships,” he said. The collecting trips will be done with a consortium of institutions from across the country. Results will be shared and tracked among them, and stored at the herbarium at the U.S. National Arboretum in Washington, D.C. Many will also remain long term at the Garden or other similar institutions. “We do want to fill in gaps (in the Garden’s collection), but we also want to add diversity,” said Bunting. Over the next several months, Rothleutner will work to propagate the recent sweetbay magnolia cuttings. They will then be dispersed among selected gardens, including several that together hold a full representation of magnolia species from the United States and that are coordinated by the APGA. Plants will also be cultivated at the Chicago Botanic Garden.